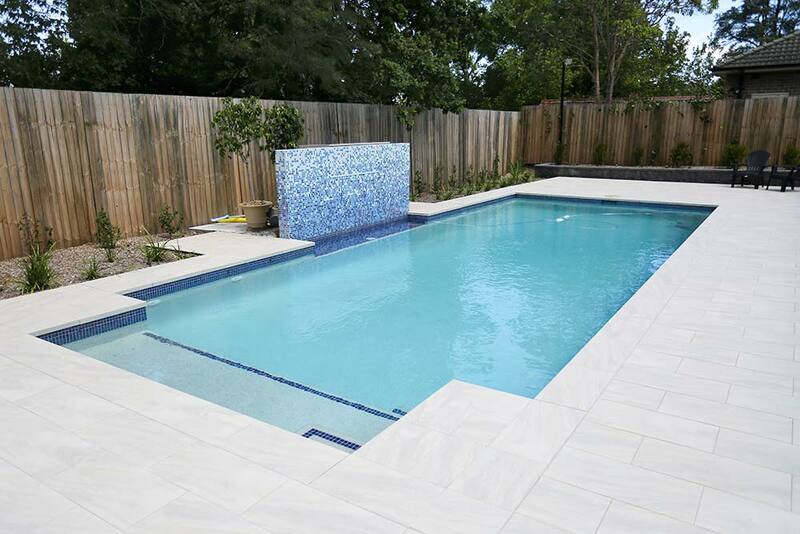 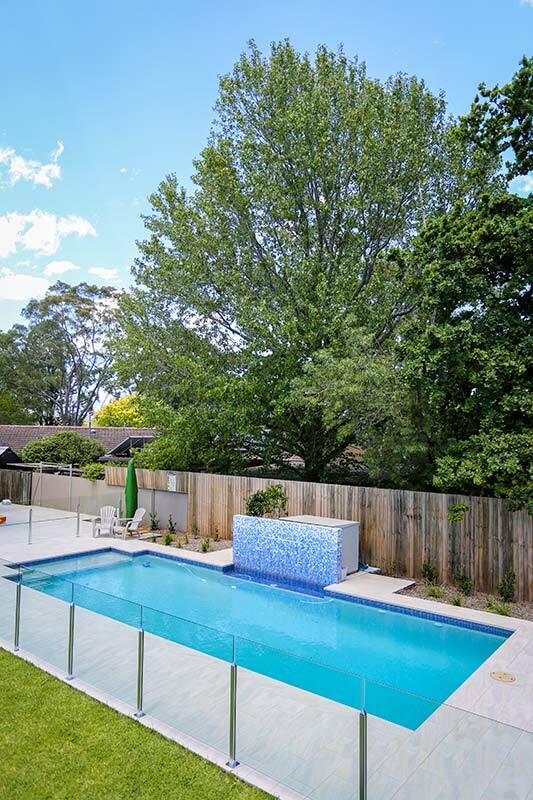 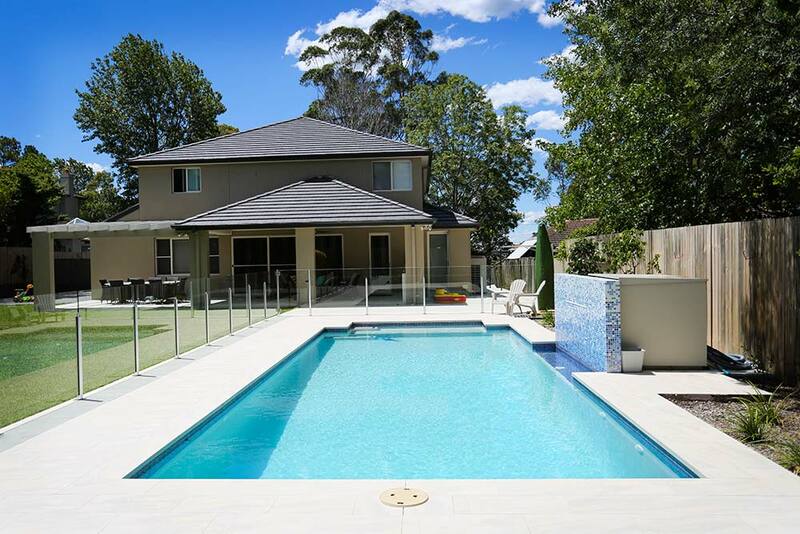 Built for a young Upper North Shore family, this Wahroonga Swimming Pool was constructed to a very tight deadline so the homeowners could complete landscaping prior to moving in. 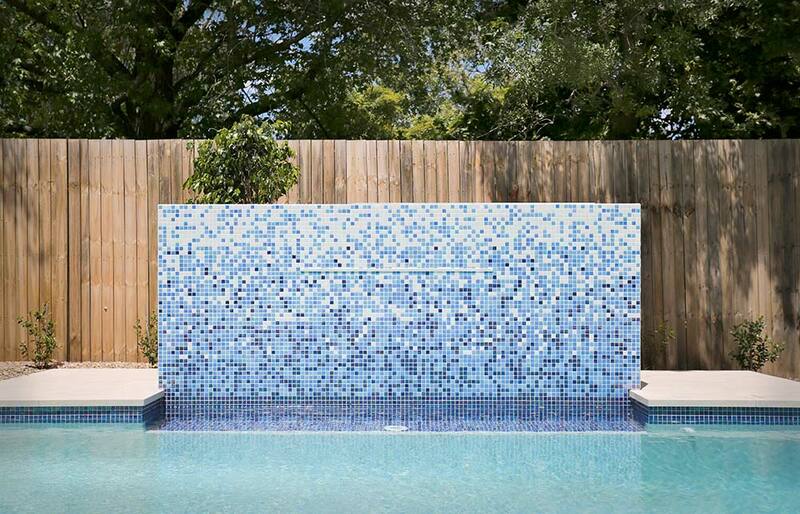 The swimming pool includes a magnificent, fully tiled sheer descent wall complete with a lounging ledge. 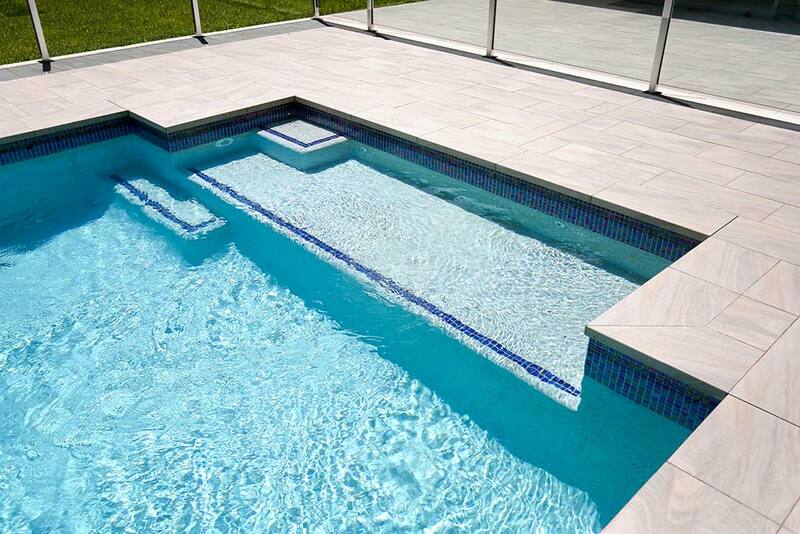 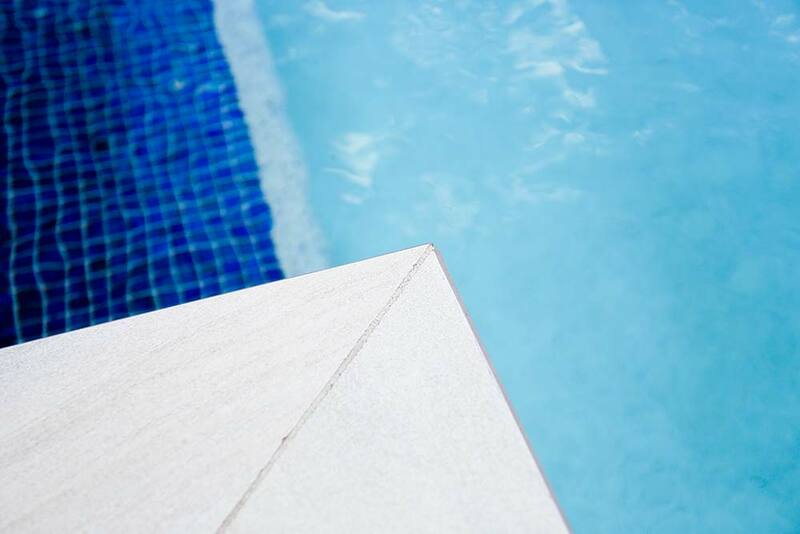 The interior of this modern geometric pool has been lined using resort white pebble with a blue bead and features blue glass mosaic waterline tiles. 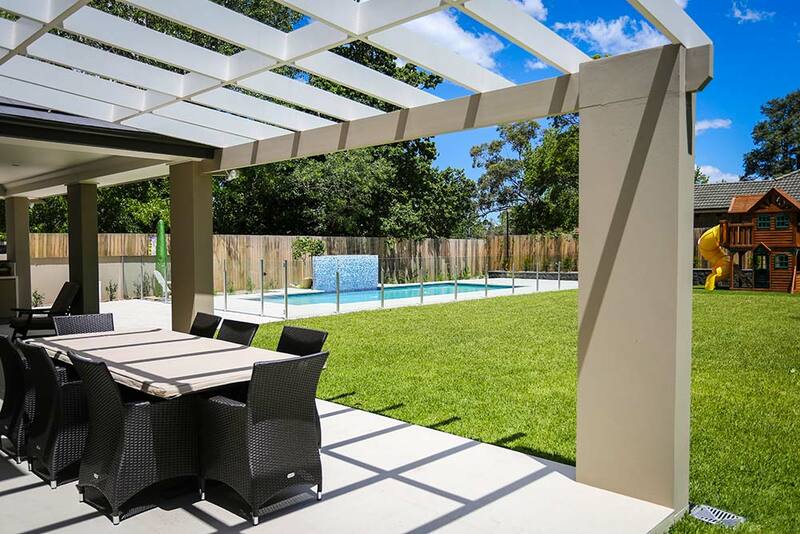 Surrounded with glass fencing allows an uninterrupted view of the backyard.